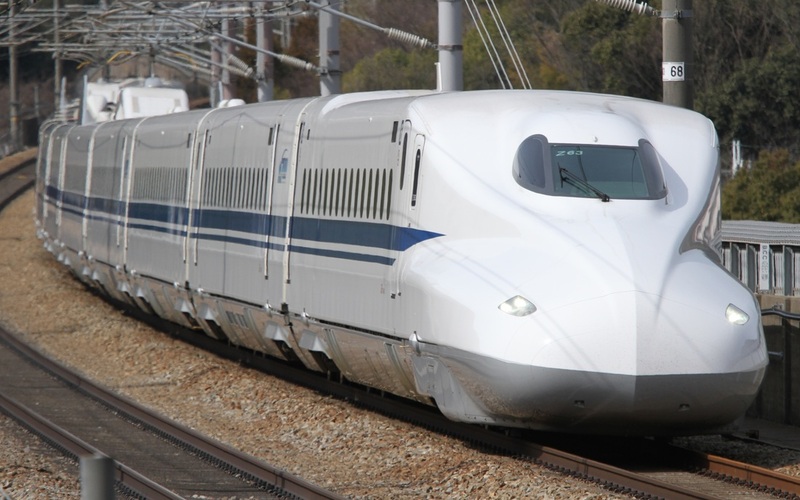 The N700 Series is the standard Shinkansen adopted by JR Tokai, West and Kyushu. 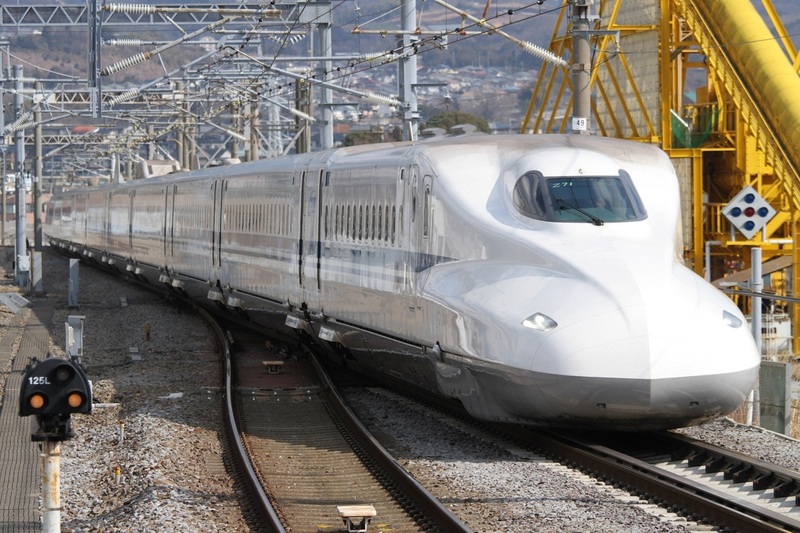 It was designed to replace the 300 and 500 Series Shinkansen trains. The N700 Series, as the name suggests, is based on the 700 Series Shinkansen but has improved the design in many ways. One of the most important features is the fact that the top speed was increased from 285km/h to 300km/h. This put the N700 Series on par with the 500 Series which was the fastest Shinkansen at the time, but also difficult to operate. The N700 Series adopted a high-tech active suspension system that allows the body to tilt slightly towards the inside of a curve. This allows the train to speed through curves much faster than previous Shinkansen. 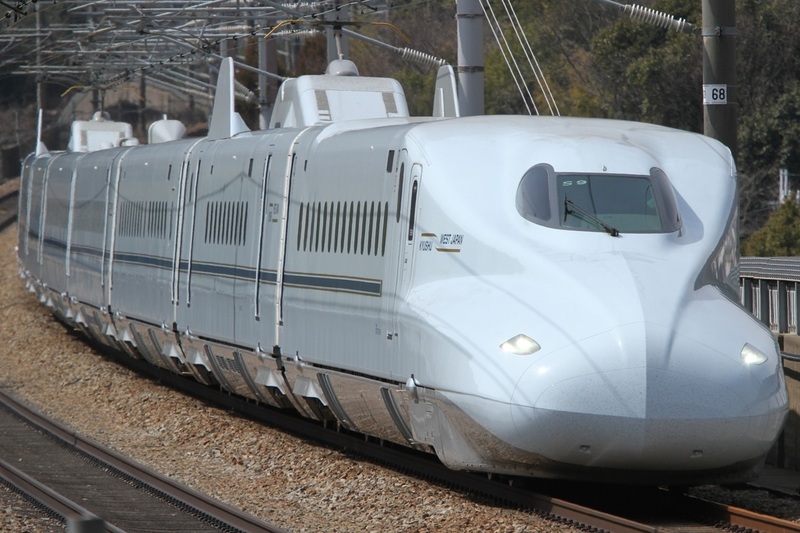 The entire train is designed with aerodynamics in mind and because of this, has a very complicated nose shape. This was designed to help reduce the noise made when entering and exiting tunnels. The spaces between cars are covered almost entirely with rubber to help reduce drag and increase energy efficiency. The 0 and 3000 numbers operated on the Tokaido and Sanyo Shinkansen routes by JR Tokai make up the majority of the N700 Series trains. These trains are all 16 cars long. The 7000 numbers operated by JR West and the 8000 number operated by JR Kyushu are both only eight cars long and operated between Kagoshima. These trains are painted in a blue-ish white and have a gold stripes on the side. JR Tokai is developing an improved version with automated controls called the N700A Series.